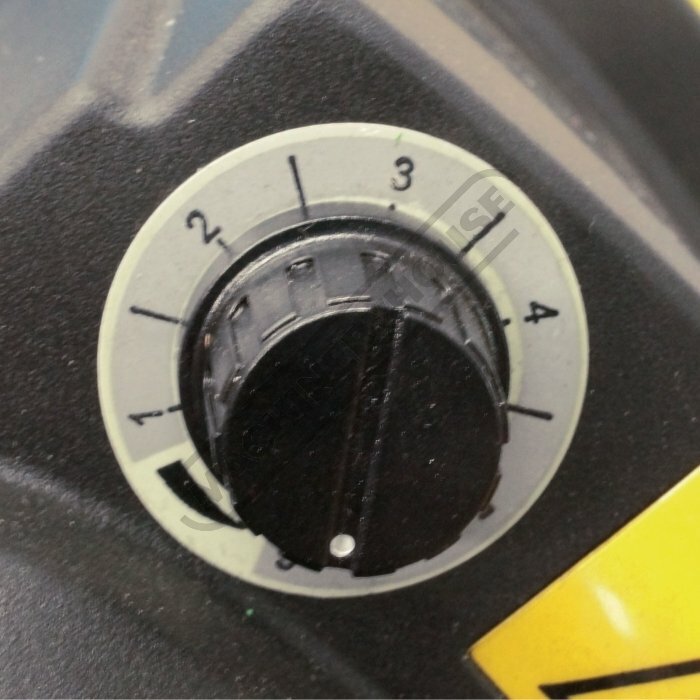 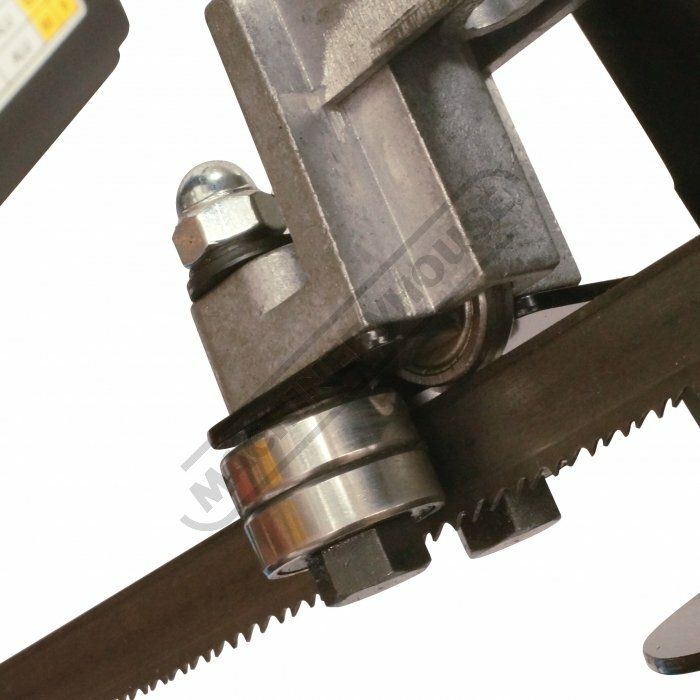 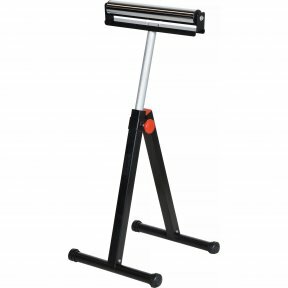 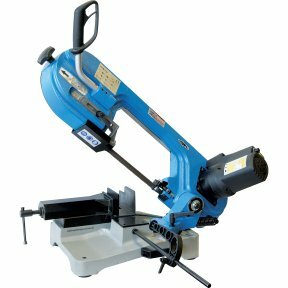 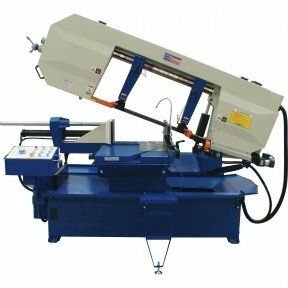 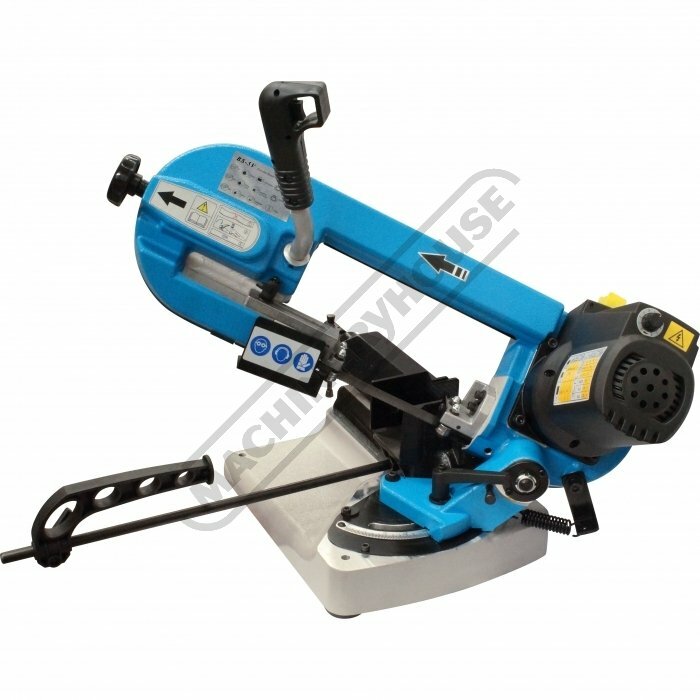 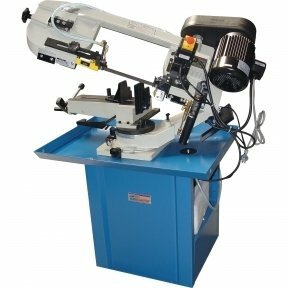 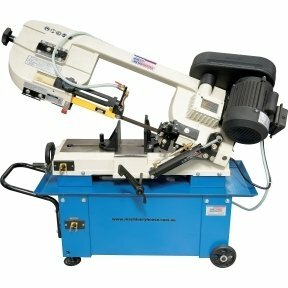 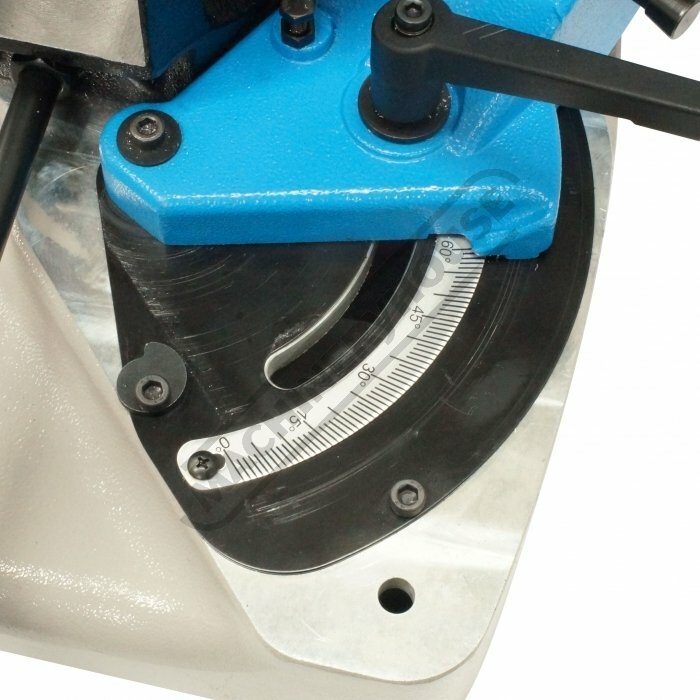 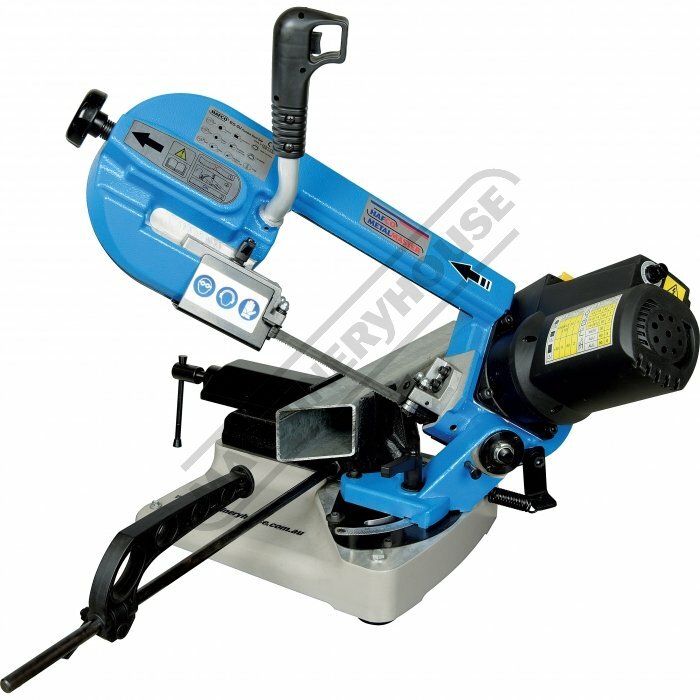 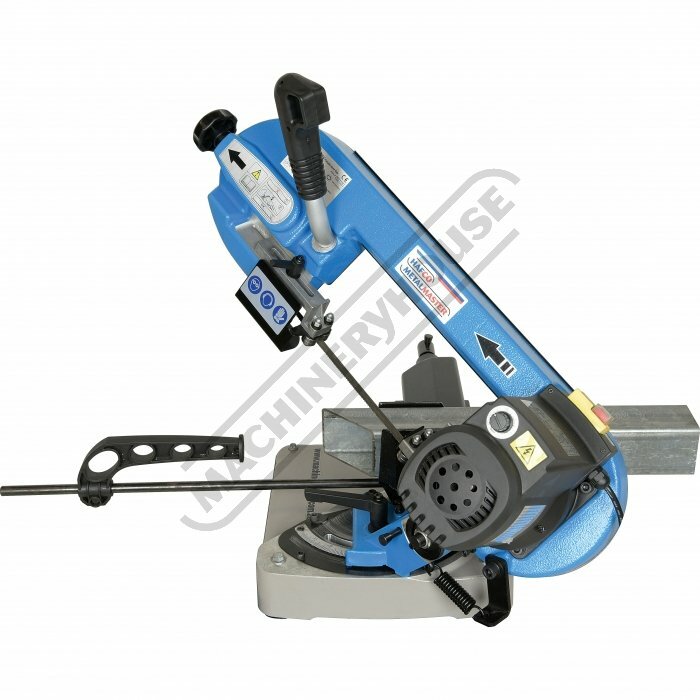 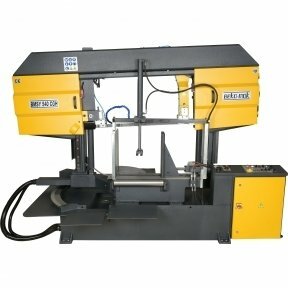 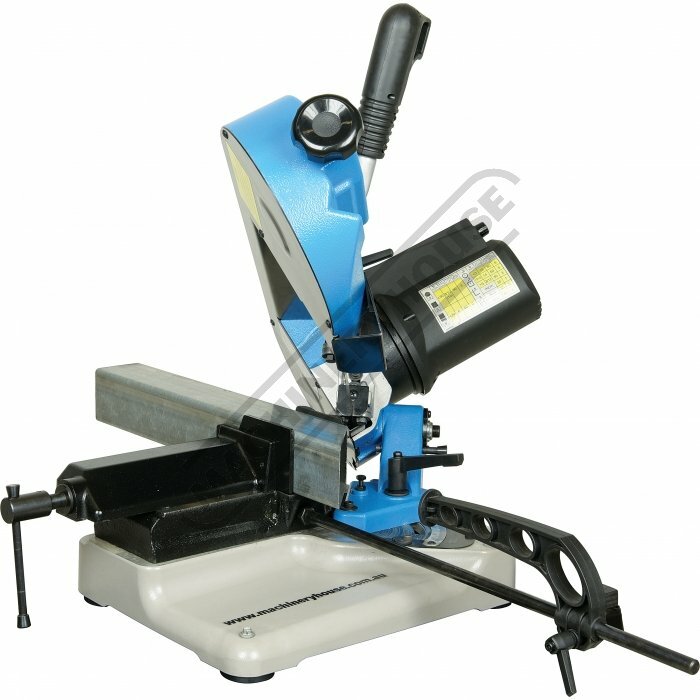 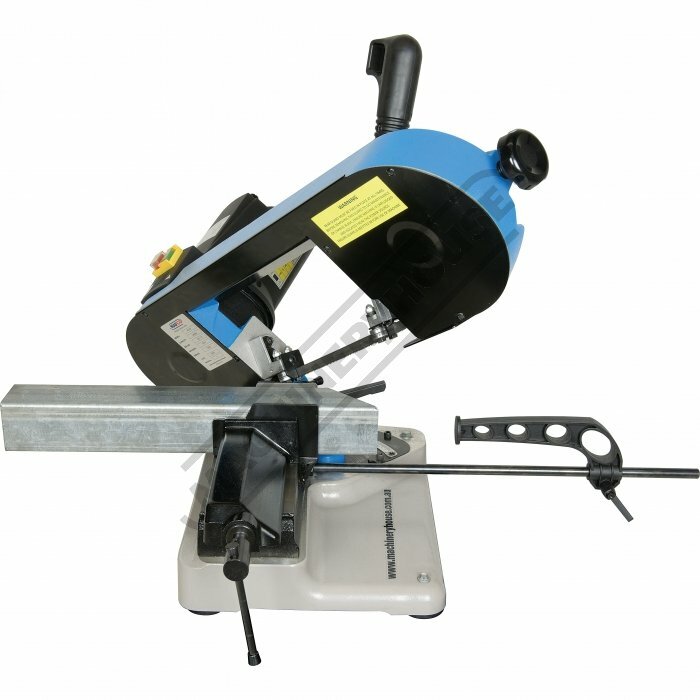 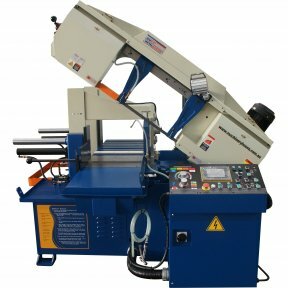 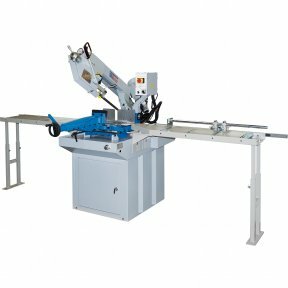 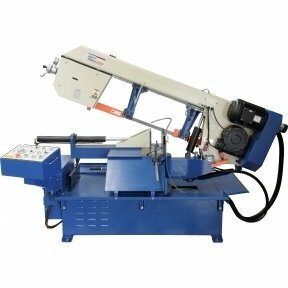 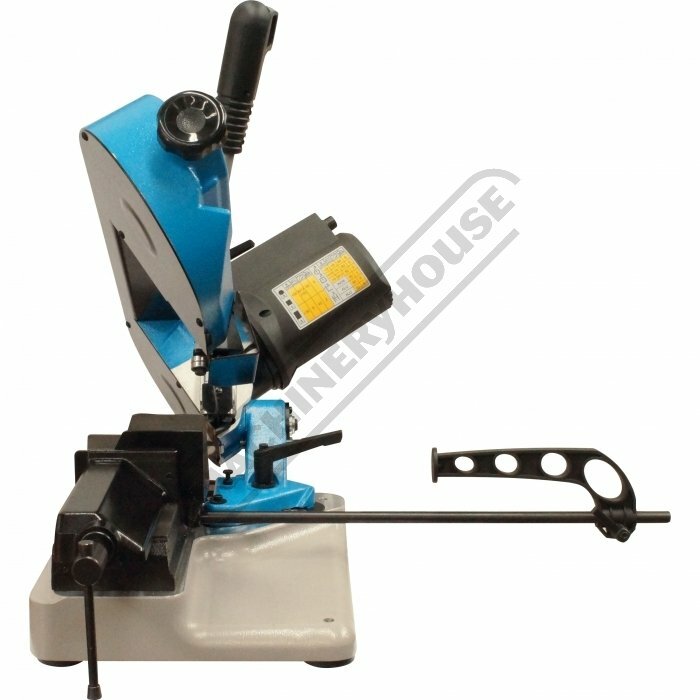 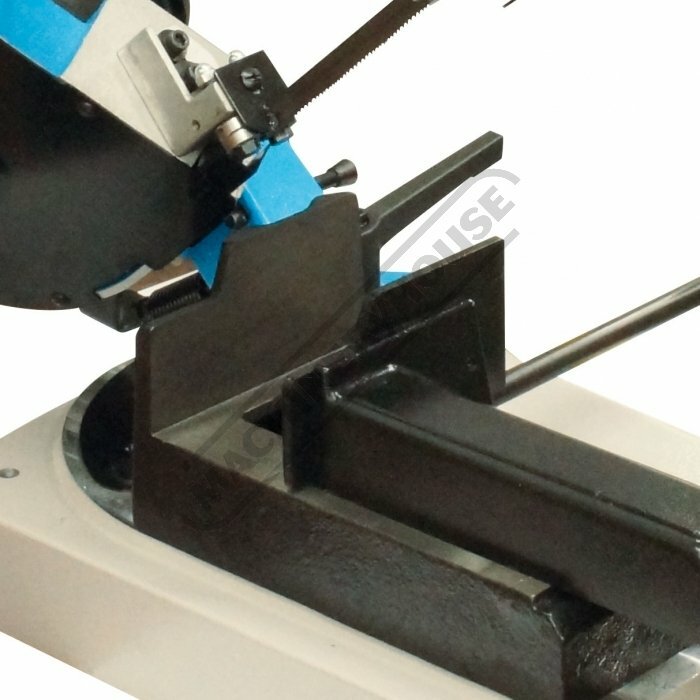 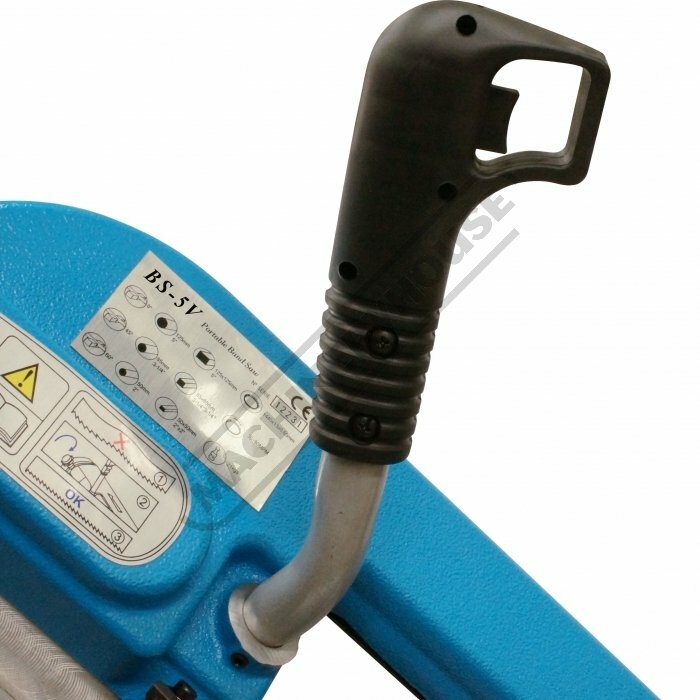 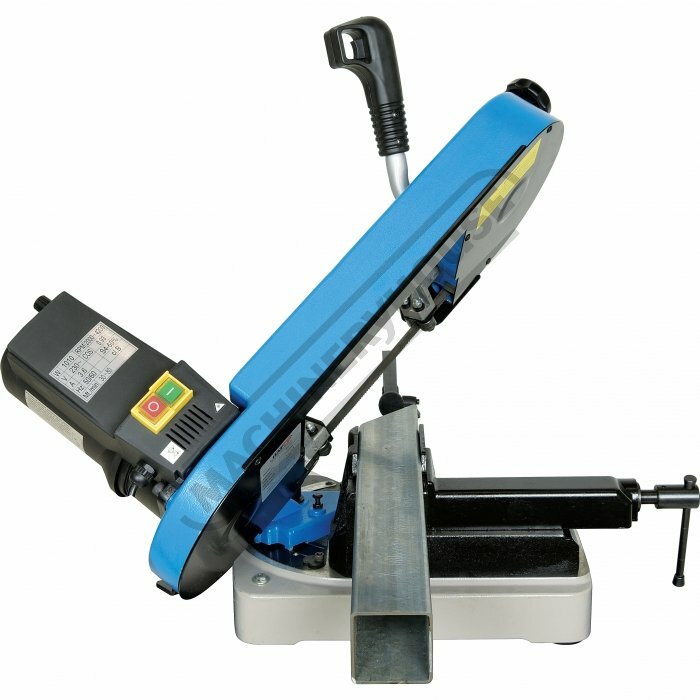 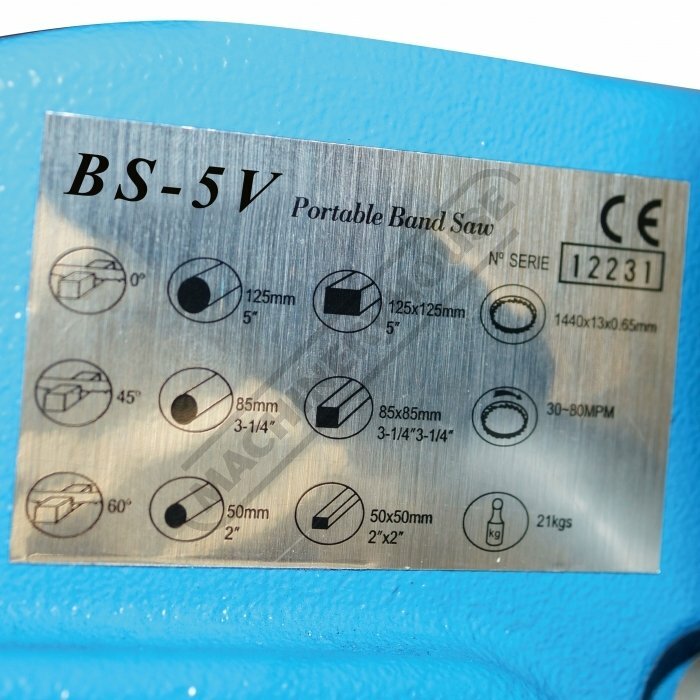 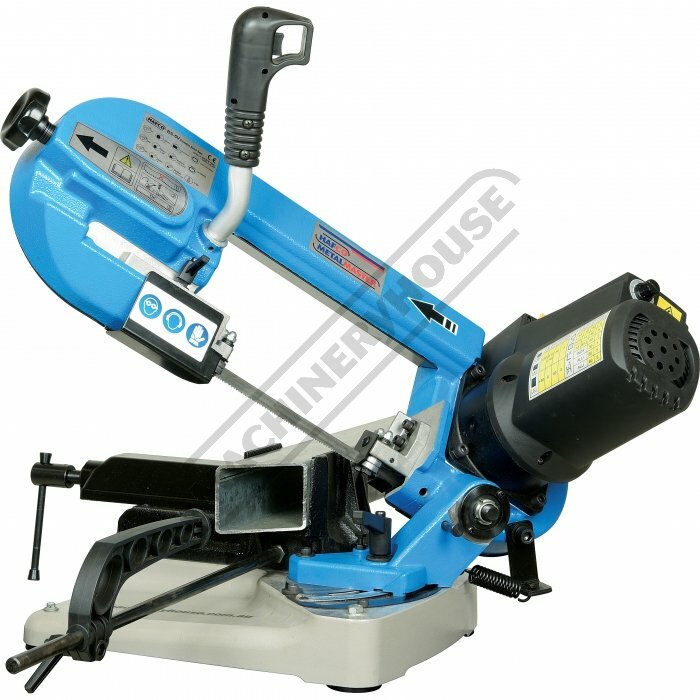 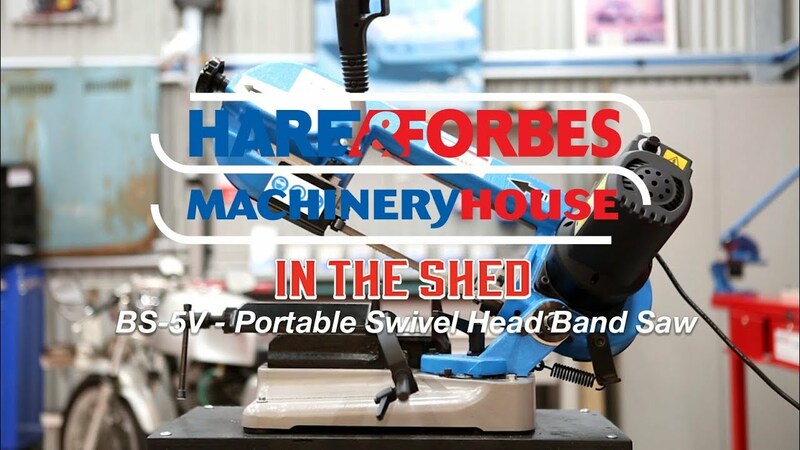 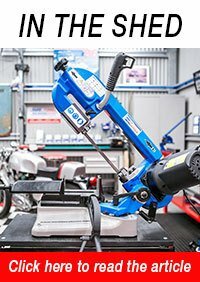 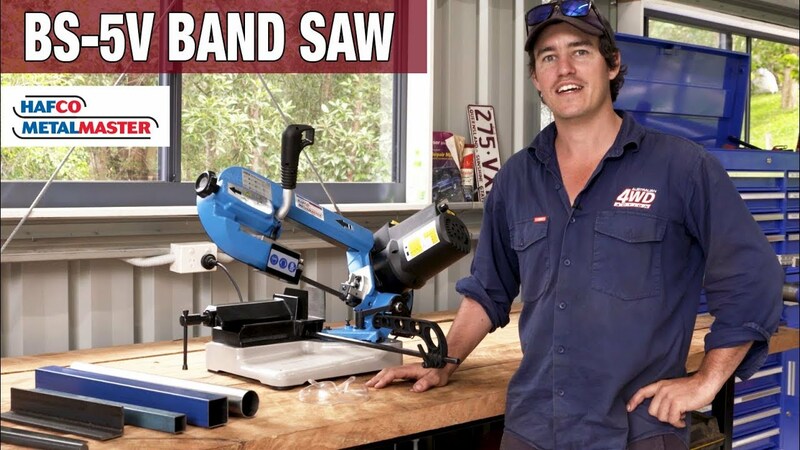 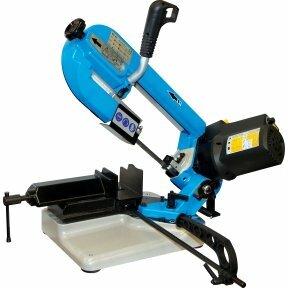 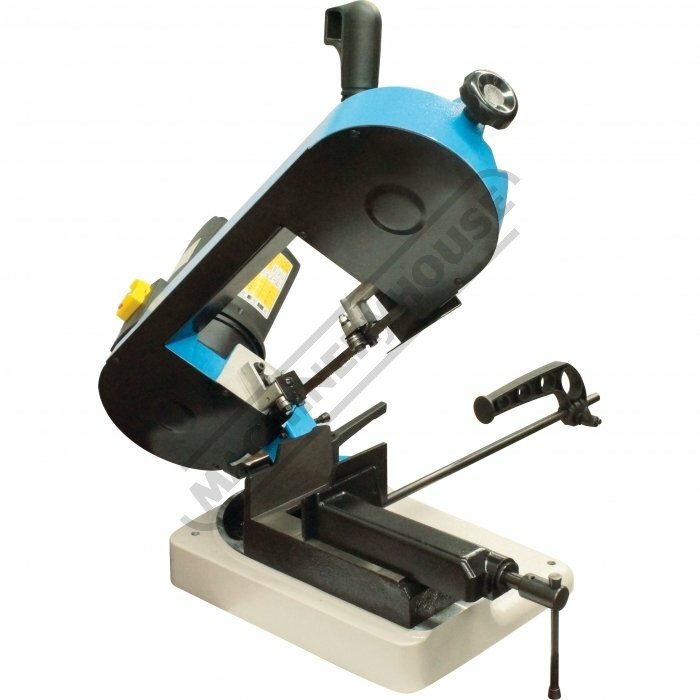 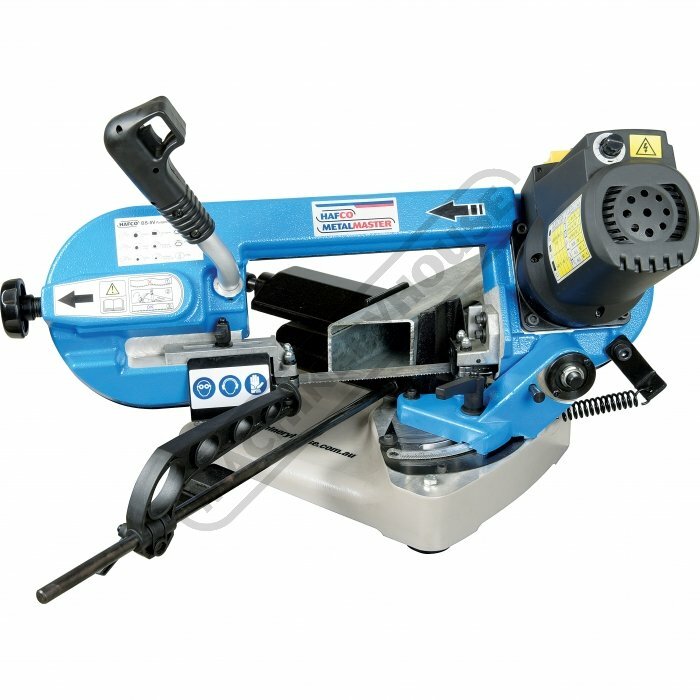 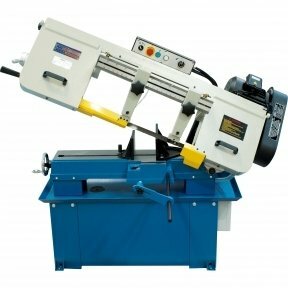 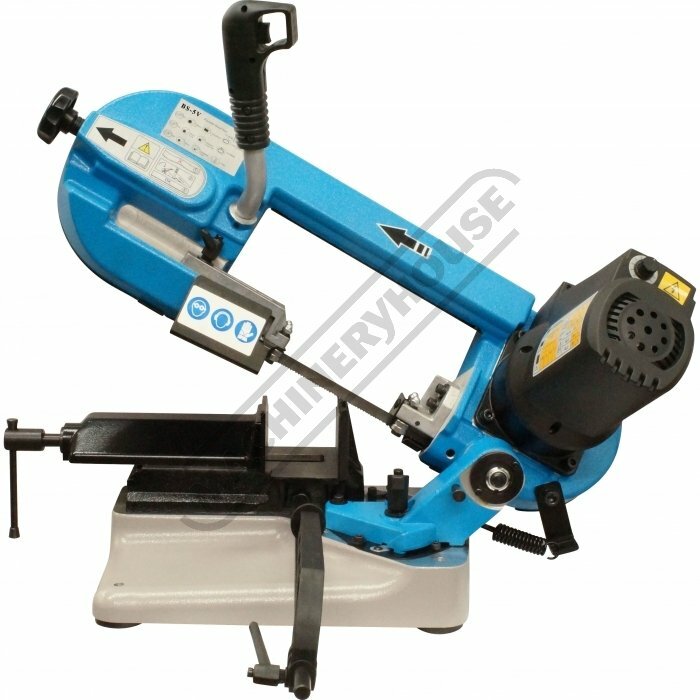 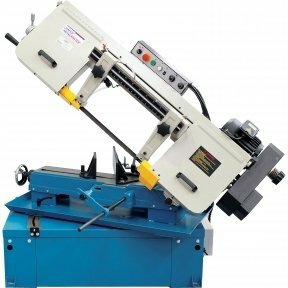 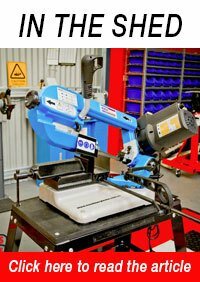 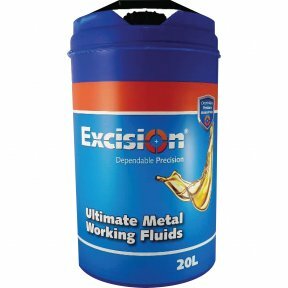 The BS-5V is the smallest portable swivel head metal cutting band saw in our range. 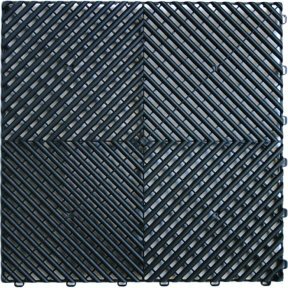 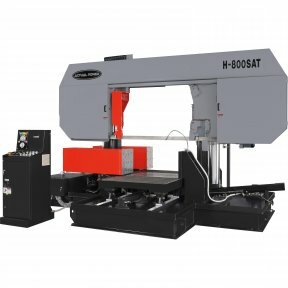 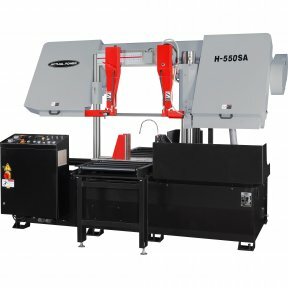 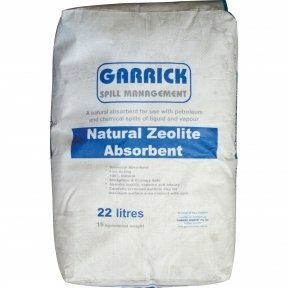 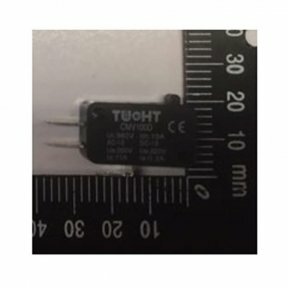 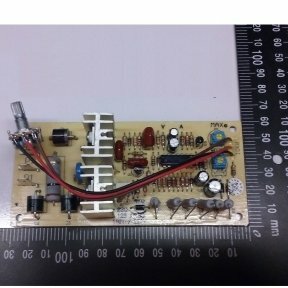 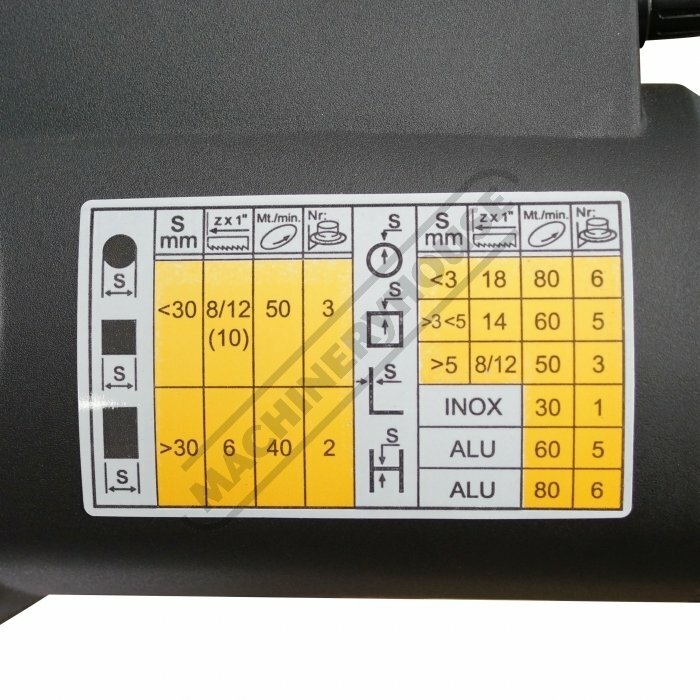 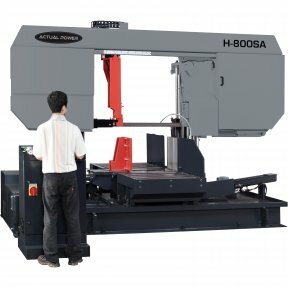 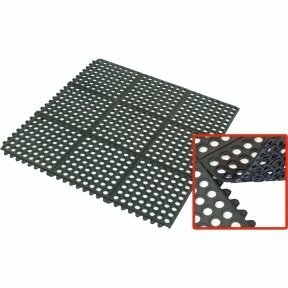 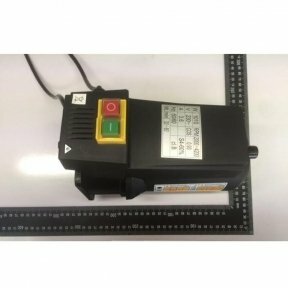 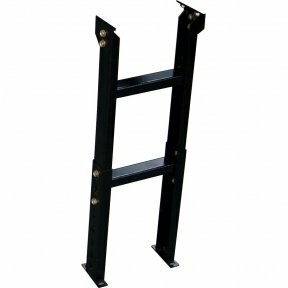 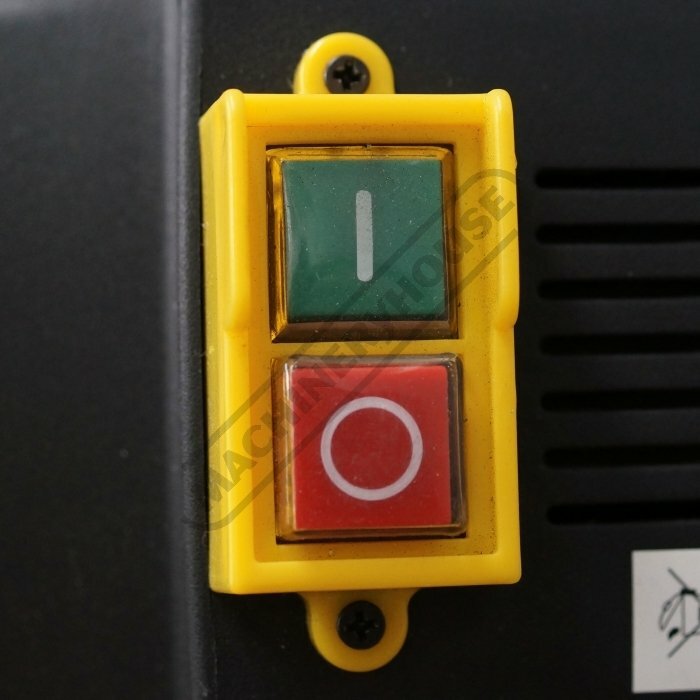 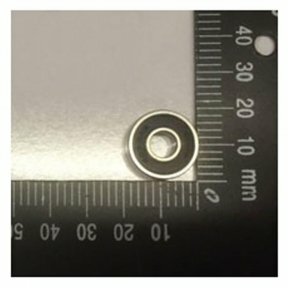 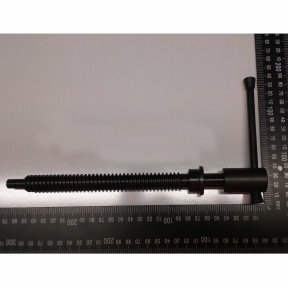 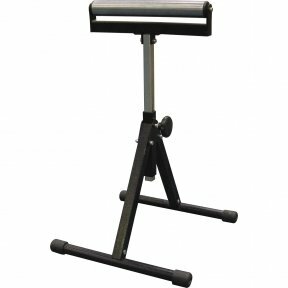 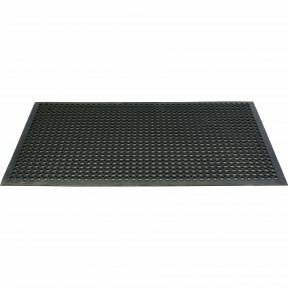 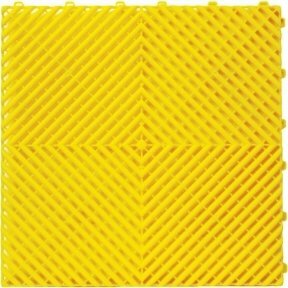 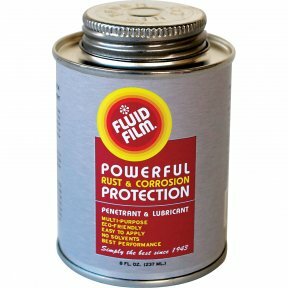 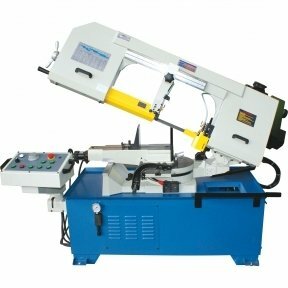 It is very suitable for the home model engineer where space may be tight but an accurate machine is required. 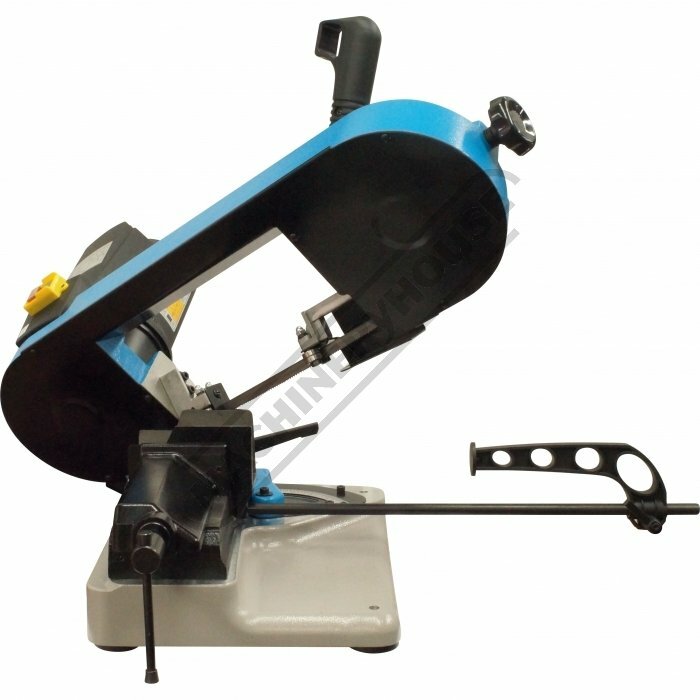 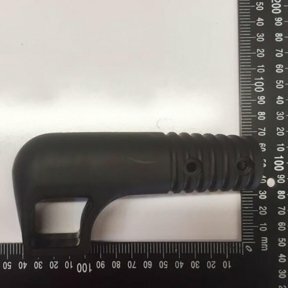 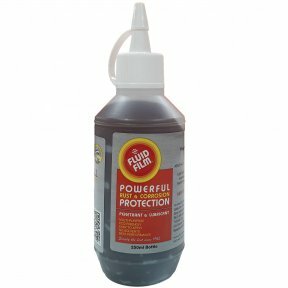 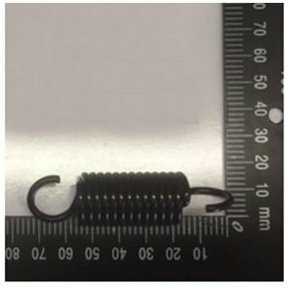 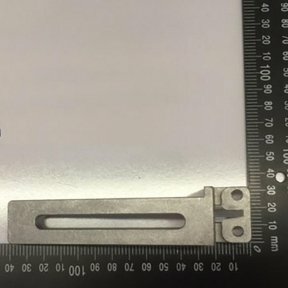 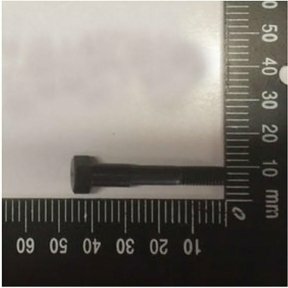 Constructed mainly from cast alloy and steel, it has a very rigid bow that enables a high degree of tension to be applied to the blade. 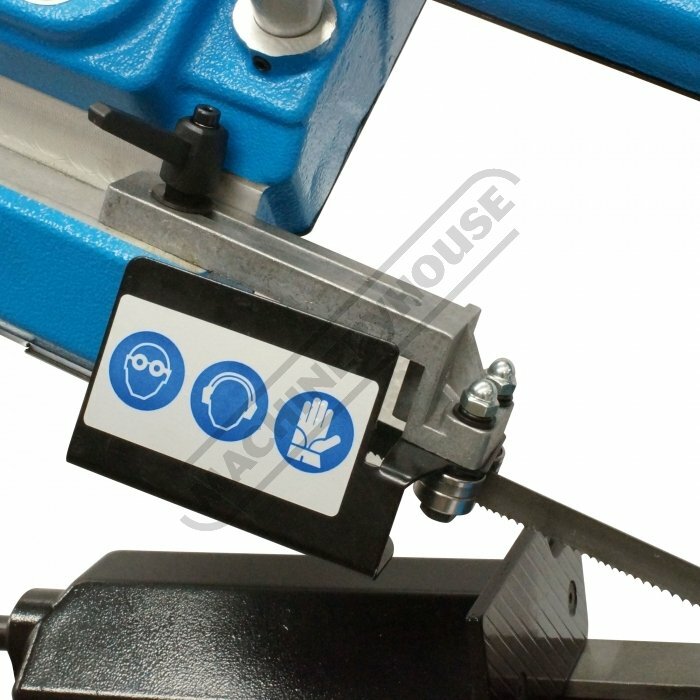 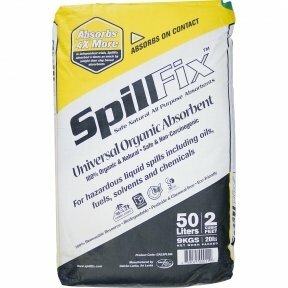 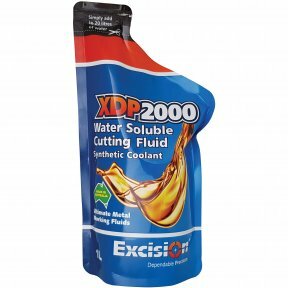 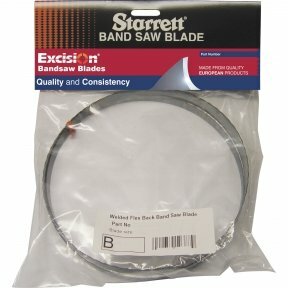 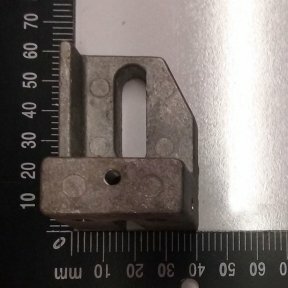 The whole bow and motor assembly can be swivelled from 0° to 60° to create accurate mitre cuts. 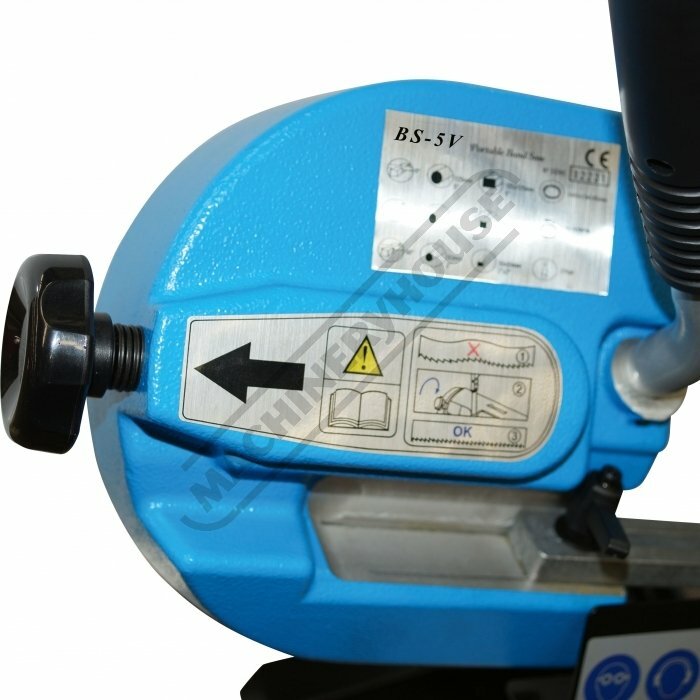 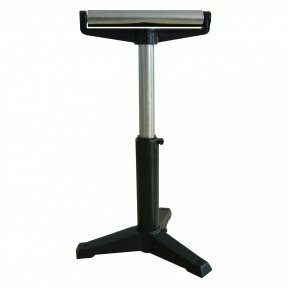 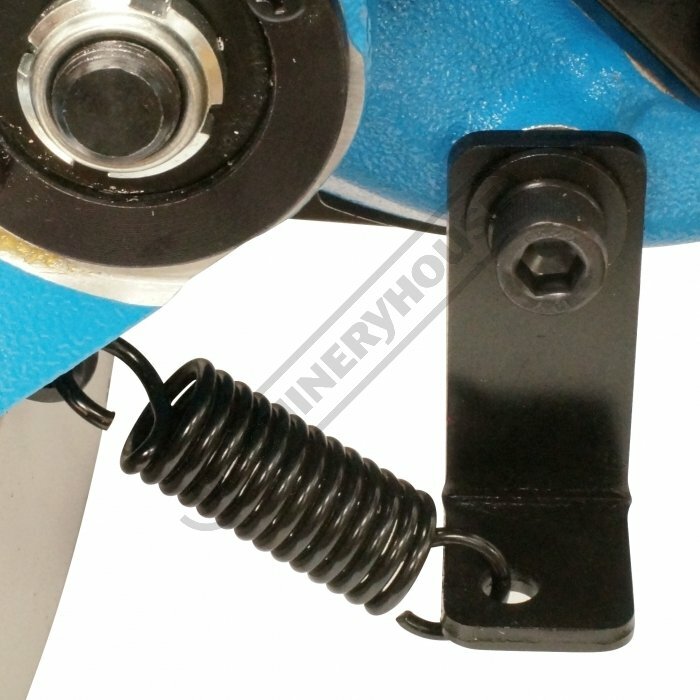 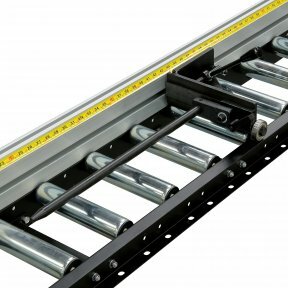 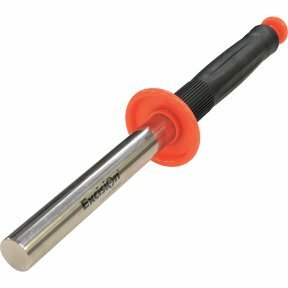 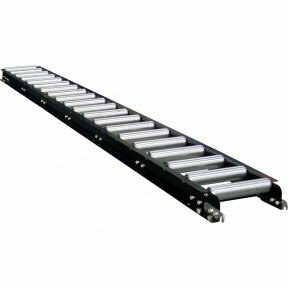 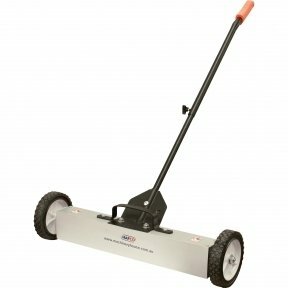 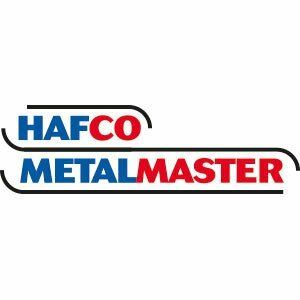 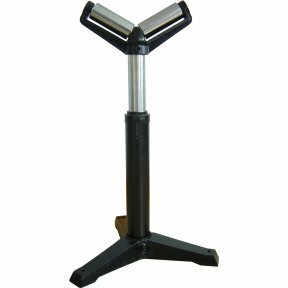 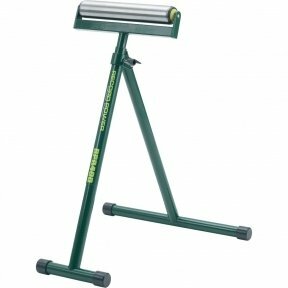 The blade is firmly guided by double ball bearing and is driven via the direct drive motor fitted with variable speed, so the blade speed can be adjusted to suit the task in hand. 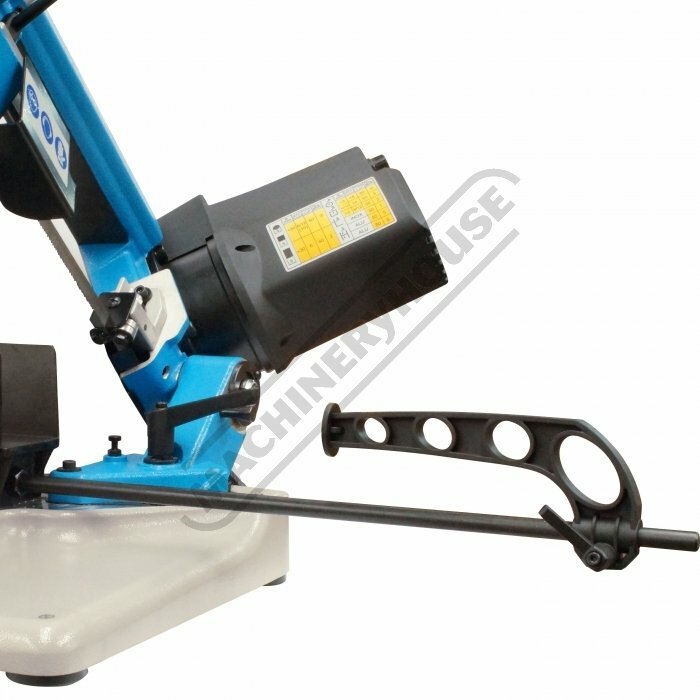 The conveniently located hand trigger switch on the bow and a spring system supports the weight of the bow during operation. 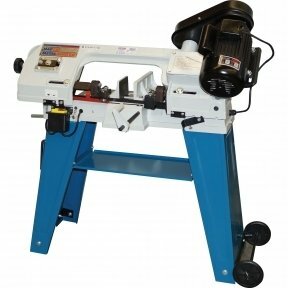 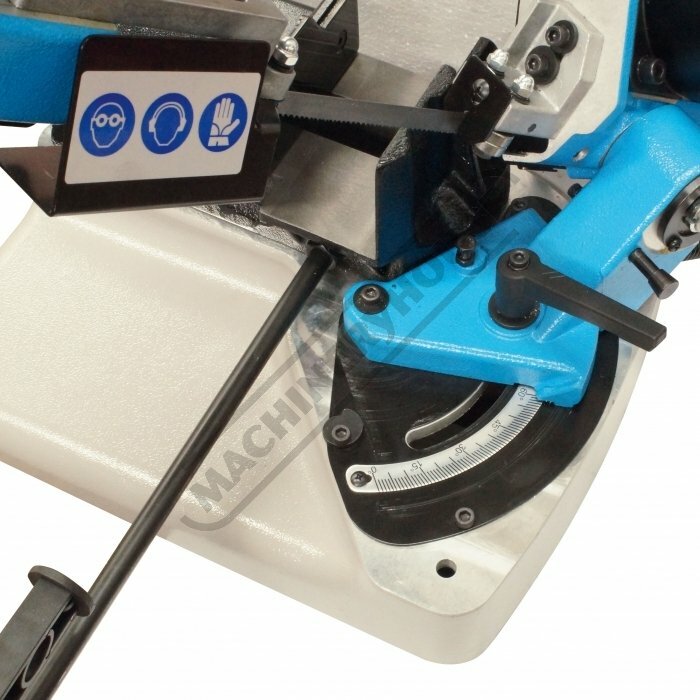 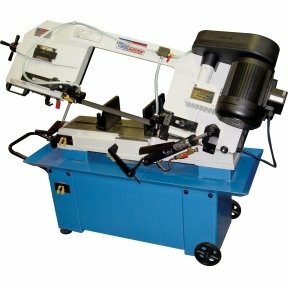 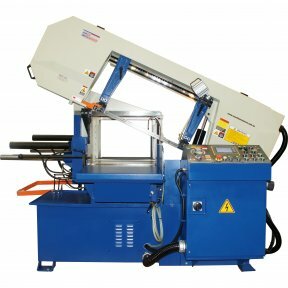 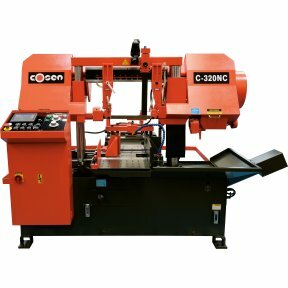 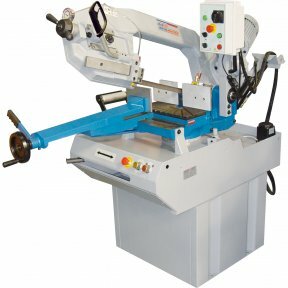 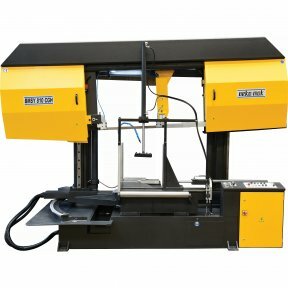 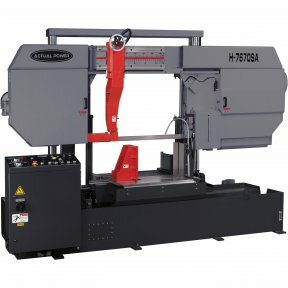 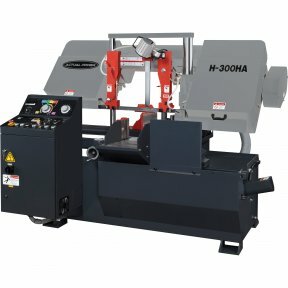 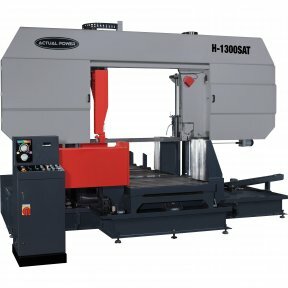 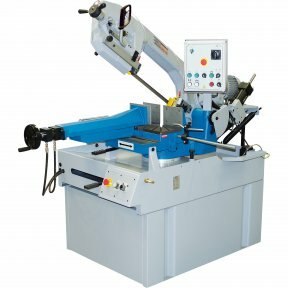 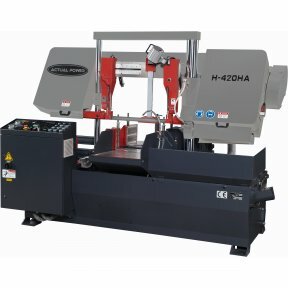 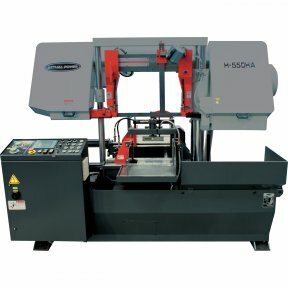 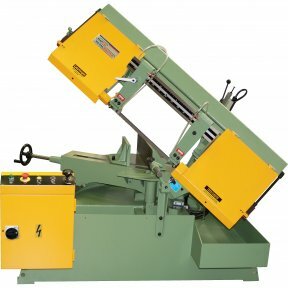 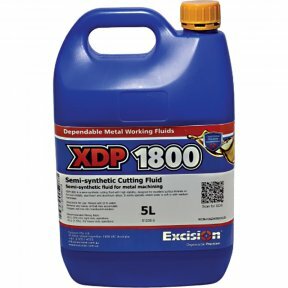 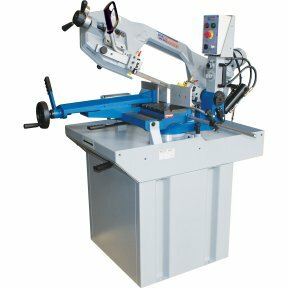 This is a compact and very well made machine and it can be relied on to deliver an accurate cut every time.